It’s that time again, FOMC rate hike announcement day. 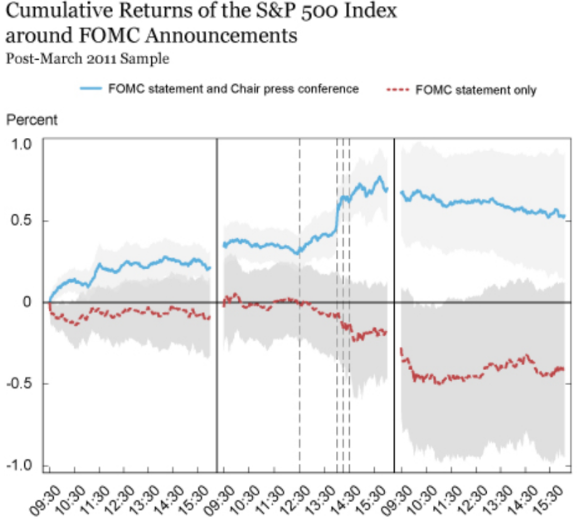 While there is almost no probability of a rate hike today, the more consequential press conference and dot plot will likely sway investors’ sentiment. With Jerome Powell at the helm of the FOMC and having chaired the committee of Federal Reserve Presidents over the last 8 FOMC meeting days, Powell has a dubious track record with regards to the market’s reaction to the post announcement press conference. 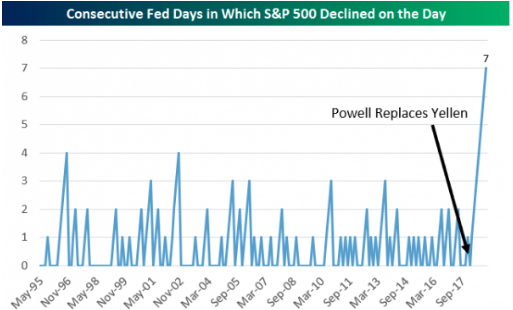 Only once, has the S&P 500 finished higher on a rate announcement/press conference day under Powell. Heading into the previous, January 30th announcement, all Fed press conferences’s held by Jerome Powell resulted in a decline in the S&P 500 for the trading session. It was on this day that the FOMC certified its “patient” stance for future hikes and flexible stance with regards to its balance sheet run off program, a program that had in conjunction with a series of rate hikes served to tighten monetary conditions. The Fed’s January 2019 meeting saw the Fed make a dovish about-face, putting rates on hold, but didn’t offer any new projections. The S&P 500 rallied 2.4% from the open on Jan. 29, the first day of the meeting, through the close on Jan. 31, the day after the meeting concluded. We can offer some of the Powell-led trend reversal of abysmal market performance on announcement/press conference day to the dovish pivot, but it should also be recognized that Apple (AAPL) released its quarterly results and guidance the night before, which was received positively by the market. Ahead of Wednesday FOMC announcement and press conference, there are some variables investors/traders should keep in the forefront as they look to game the reaction from the Fed’s statement and release of the dot plot for rate hikes and economic outlook. Firstly is what has been referred to as the “Fed drift”. 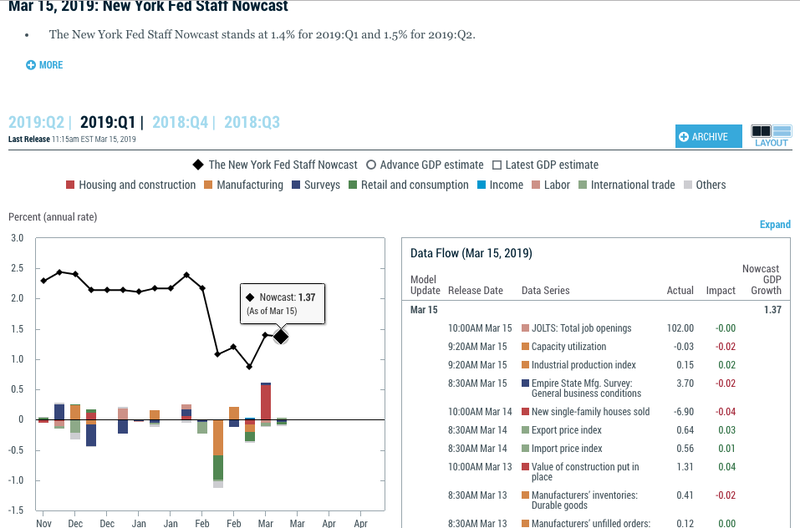 In a note on Monday, Nicholas Colas, co-founder of DataTrek Research, reminded clients of the phenomenon studied by New York Federal Reserve Bank. They found that equities have tended to rally into and through meetings of the Fed’s rate-setting FOMC. With the New York Fed’s study and Chairman Powell’s 1 for 8 track record of positive S&P 500 closes the day of the press conference in mind, one could say the market’s whipsawing action ahead of Wednesday’s press conference was a bit out of the norm. The Dow Jones Industrial Average shed 26.72 points, or 0.1%, to 25,887.38, while the S&P 500 slipped 0.37 point to 2,832.57. The Nasdaq Composite Index rose 9.47 points, or 0.1%, to 7,723.95. 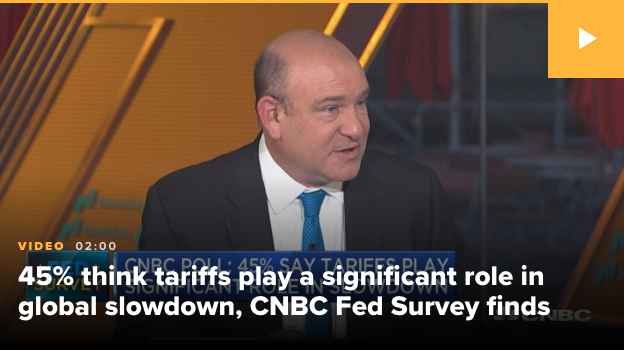 Earlier in the trading session, the Dow had been higher by nearly 200 points and before conflicting U.S./China trade stories surfaced. However, The Wall Street Journal also reported that the two countries are in the final stages of negotiations with U.S. Representative Robert Lighthizer and Secretary of Treasury Steven Mnuchin scheduled to fly to Beijing next week. Without any reassurance as to which story is closer to the truth and without certainty, equities limped into the closing bell with the FOMC rate announcement and press conference ahead. Having already reacted to the Fed’s dovish tilt, pause for rate hikes and flexible stance when it comes to the Fed’ balance sheet run off program, Powell is now tasked with “threading the needle”. 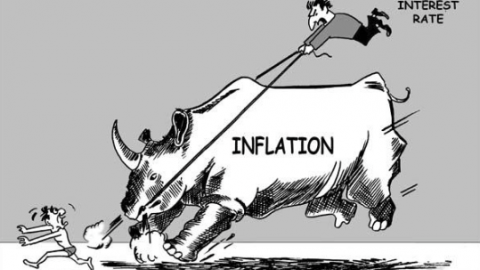 Powell has to balance the FOMC’s understanding that the economy is slowing while both its inflation and employment mandate seem to be in check. Economists, analysts and investors have priced out of the market any probability of a rate hike in 2019, but the probability of a rate cut has crept into the market. 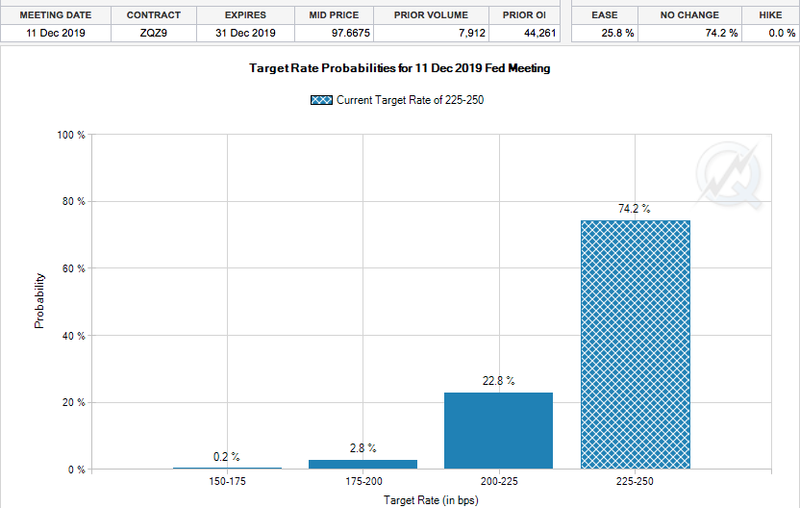 According to the CME’s FedWatch Tool, there is now a near 23% probability of a rate cut in 2019. “Powell doesn’t want to scare markets with rhetoric that would speak to an interest rate cut,” said Brett Ryan, economist at Deutsche Bank. That would only spark fears the Fed knows something the market does not know, he added. Chairman Powell will have a difficult task ahead as he tries to engineer a soft landing for the economy, an economy that most find in good standing according to a recent CNN poll. The poll, conducted by SSRS, gave the economy glowing reviews. Overall, 71% say the nation’s economy is in good shape, the highest share to say so since February 2001, and the best rating during Trump’s presidency by two points. 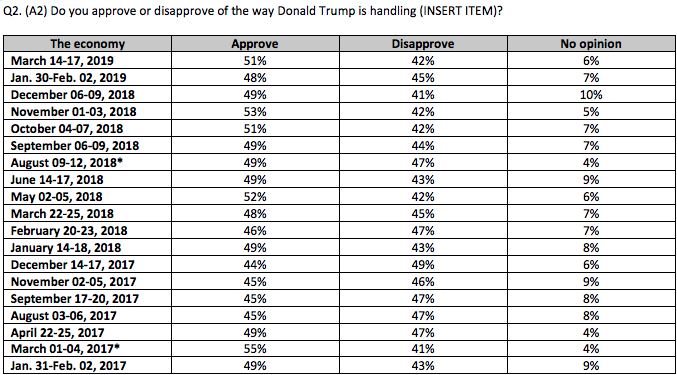 A majority give the President positive reviews for his handling of the nation’s economy (51% approve), and his overall approval rating has ticked up to 42% in the new poll. 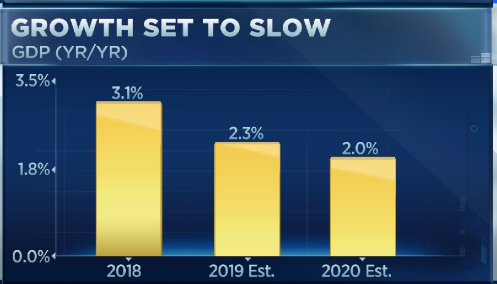 In another survey conducted by CNBC, the average forecast for gross domestic product growth this year is just 2.3%, down from 2.44% expected in the January survey and a further slowing from the actual 3.1% year-over-year pace for the fourth quarter of 2018. Economic growth is seen stepping below 2% in 2020, according to the survey. While the economy remains front of mind, factory orders suggest the cyclical expansion is still in tact, although cooled from last year’s above trend growth pace. 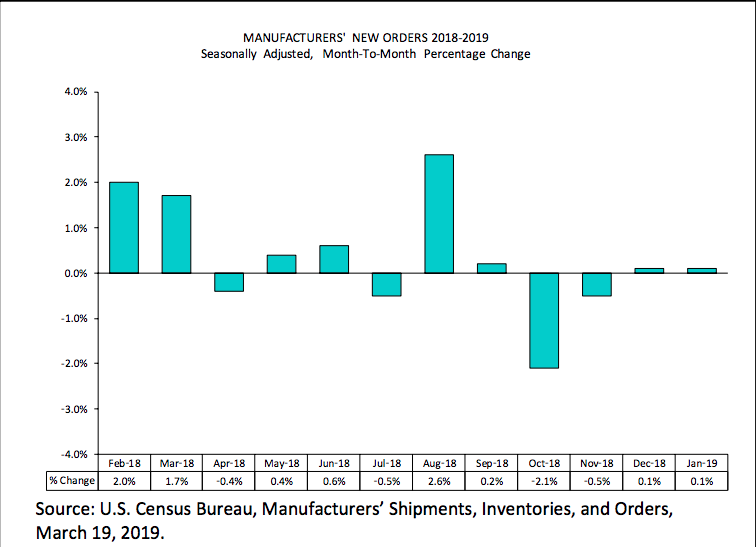 U.S. factory orders rose a scant 0.1% in January, another sign pointing to slower economic growth in the Q1 2019 period. 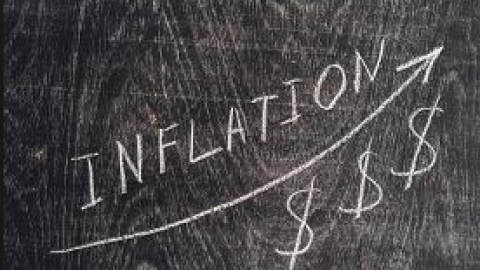 Economists polled by MarketWatch had forecast a 0.4% increase. Orders for durable goods, or products meant to least at least three years, rose 0.3%. But orders for cheaper products not meant to last a long time, known as nondurable goods, sank 0.5% in January. It’s always important to remember, with the data released, that the data is delivered in MoM format/reading. In other words, the YOY results were much healthier as indicated in the final column of the table below from the Census Bureau. Equity futures in the U.S. are flat heading into the trading day, and investors might take a cautious approach to capital allocation ahead of the FOMC 2:00 p.m. announcement and more consequential press conference. 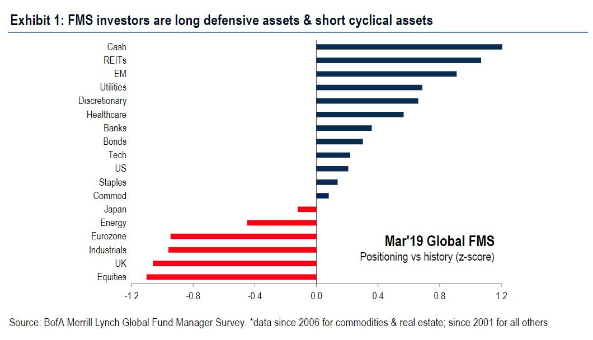 Speaking of cautiousness amongst the investor community, Bank of America Merrill Lynch recent survey outlines how they see investors positioning in the market in March. 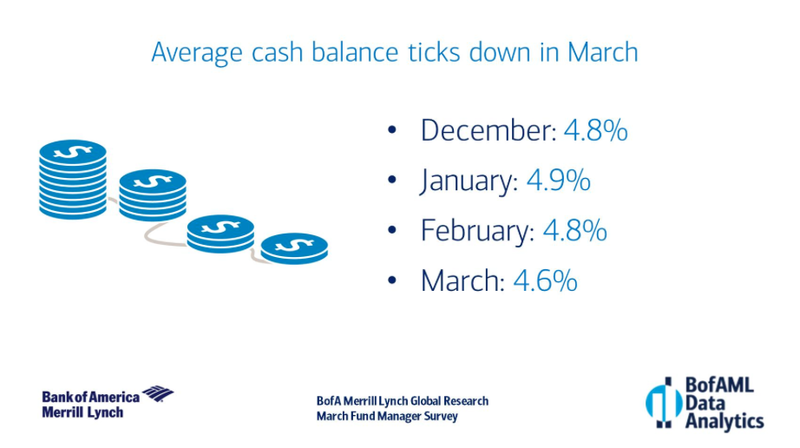 According to one poll conducted by the financial giant, the average brokerage account cash balance fell 0.2ppt to 4.6% in this month’s Fund Manager Survey, showing improved risk appetite among investors polled. While that might seem like a risk on participation from the survey, another survey conducted shows that while equities exposure may have increased, the types of equities investors are buying carry a lesser risk profile than in previous periods. Fund managers in March allocated the smaller chunk of their holdings to equities since at any point since 2016, one indicator among several that they are embracing the theory of “secular stagnation,” according to Bank of America Merrill Lynch. Within equities, investors are “long secular stagnation plays via technology, health care, discretionary, and are underweight utilities as well as cyclical sectors via industrials and materials,” Hartnett wrote. With regards to the health of China or the global economy, some indications point to green shoots abroad, while a recent earnings report from FedEx (FDX) suggests more needs to be done to improve the global economic conditions. 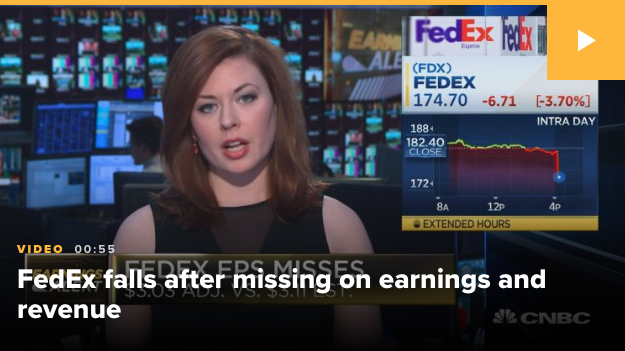 FedEx reported weaker-than-expected third-quarter earnings and revenue after the closing bell on Tuesday, and cut its full-year guidance. Shares fell more than 4 percent in after-hours trading. Despite a strong U.S. economy, FedEx said its international business weakened during the second quarter, especially in Europe. FedEx Express international was down due primarily to higher growth in lower-yielding services and lower weights per shipment. Earnings per share: $3.03 vs. $3.11 expected, according to analysts surveyed by Refinitiv. 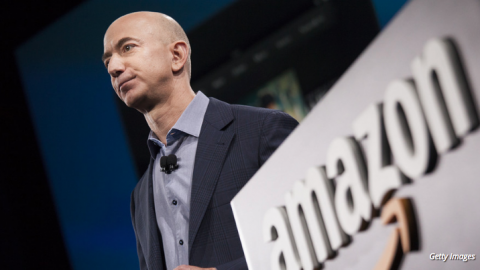 Revenue: $17.01 billion vs. $17.67 billion expected, according to analysts surveyed by Refinitiv. FedEx’s earnings were down from $3.72 a year earlier, while revenue rose from $16.5 billion. 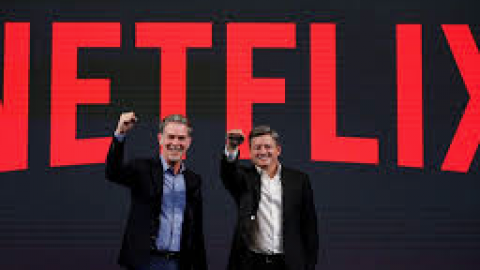 The company issued weak full-year 2019 earnings per share guidance: between $15.10 and $15.90 compared with a forecast of $15.97, according to analysts surveyed by Refinitiv. This is the second time FedEx has slashed its full-year earnings outlook. The company said it expects fiscal fourth-quarter earnings per share between $4.58 and $5.38, compared to the estimated $5.39. Even though FedEx reported a stable and growing economy that is supportive to its domestic growth, the international picture remains marred by concerns over Brexit and the negative impact over trade disputes and tariffs. With respect to the domestic economy, however, the bull vs. bear debate lives on. 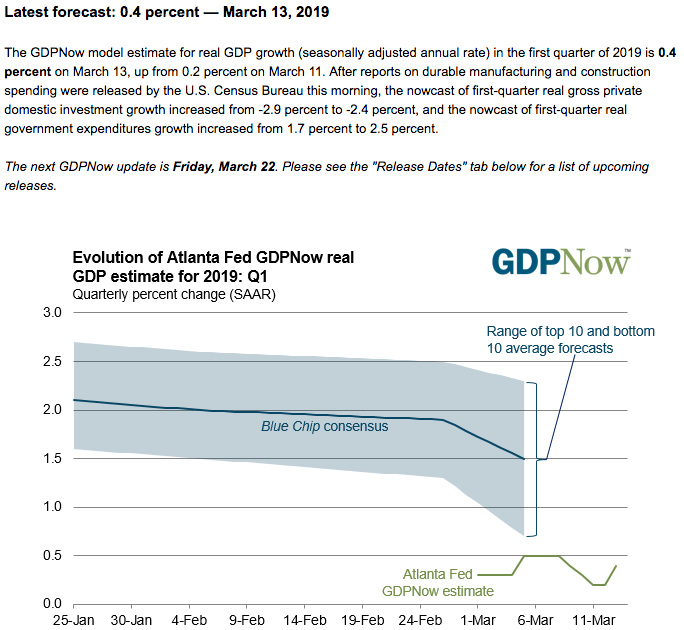 Some are not as bullish about domestic growth as viewed through the lens of economists and even the various Federal Reserve district forecasts. Beyond 2019 is where the greatest consideration might be concerning for investors. 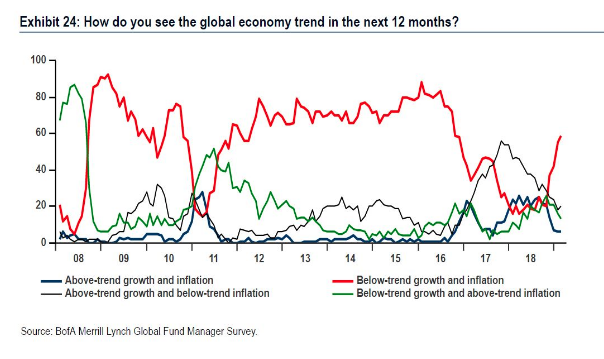 What comes after slowing growth is usually even slower growth and/or an outright recession. Of course, the depth of a recession is unknown and opinions will vary greatly. 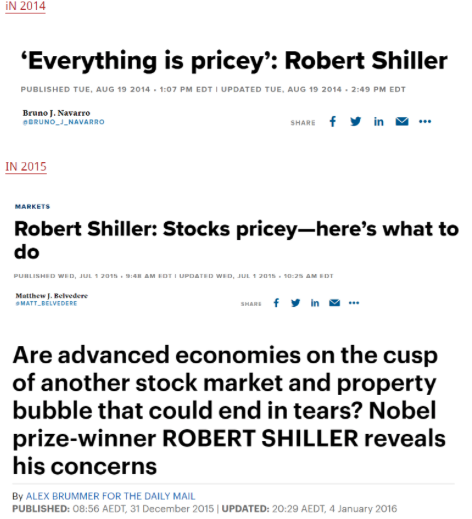 It’s with this in mind that Yale Professor and Nobel Prize winning economist Robert Shiller discusses his case for a recession. Shiller suggests a recession within the next 18 months has an above average chance on CNBC just yesterday. Shiller admits that recessions are difficult to predict, as it’s mostly a prediction of human behavior coupled with unforeseeable shocks to the economy, such as 9-11 and the polarization from geopolitical policies. He goes on to suggest that while he offers a probability for a recession even as soon as June 2019, he doesn’t have confidence in his own ability to forecast a recession. 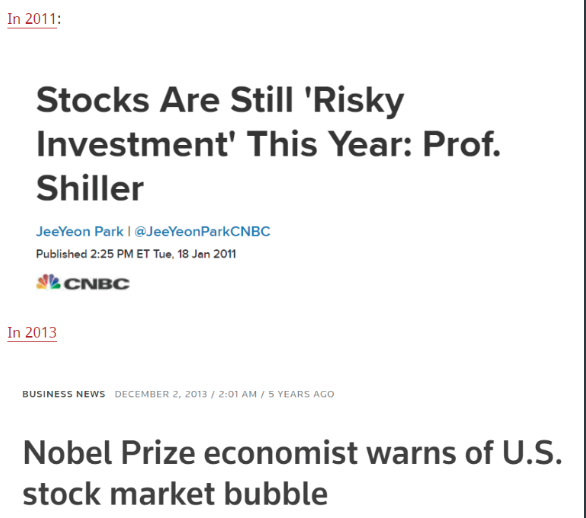 Shiller tends to have a cautious outlook on all things related to the economy, including the stock market. 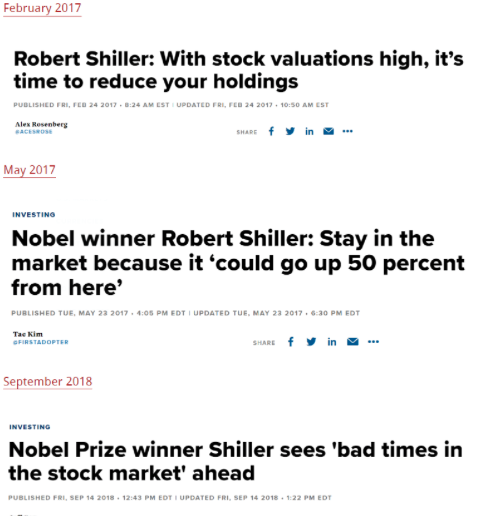 From an investor’s perspective, it’s very clear that Shiller is always warning investors, year-after-year and literally every single year. Eventually his cautious demeanor will coincide with a recession and bear market. But until then, it may prove a worthy exercise to simply trade what the market delivers, even if cautiously and as the Bank of America surveys seems to indicate are presently the activities and positioning of the times. 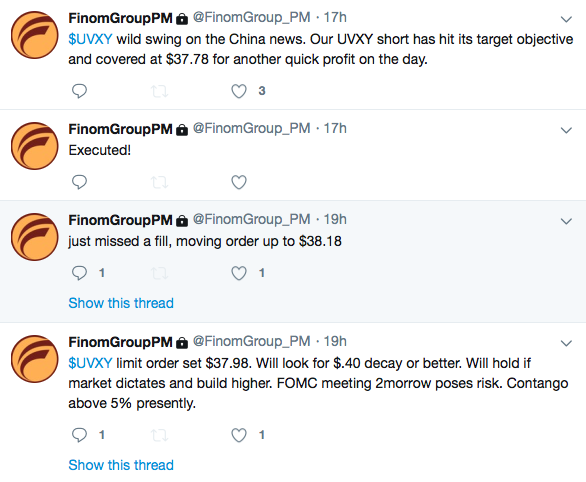 Finom Group continues to deliver trade alerts in accordance with daily market drivers. In 2019, volatility has cooled from its heightened state in 2019. 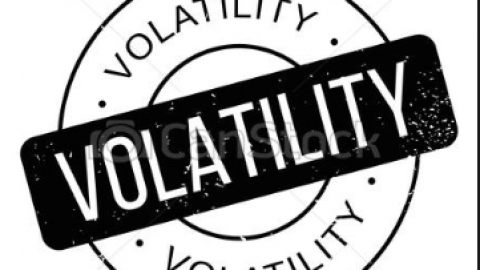 As one of our primary trading strategies centers on trading volatility through VIX-Exchange Traded Products (VIX-ETPs), we continue to look for and execute short-Volatility trades. 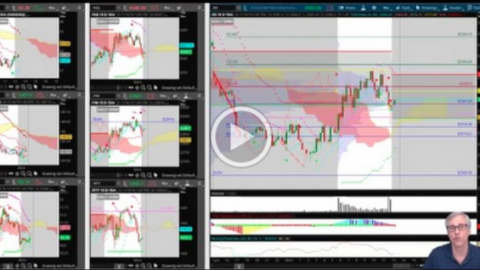 By subscribing to our Premium Membership, you can receive our weekly Research Report, one-on-one coaching programs and our trade alerts! 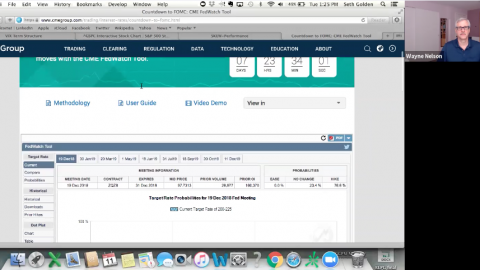 Wednesday should prove an opportunistic trading day. With much of the month and quarter now in the rear-view mirror, investors can afford themselves a period between now and the next earnings season to rebalance their portfolios. A blackout period for corporate buyback programs coupled with a sizable market rally YTD may produce a near-term pullback in the market. What investors do with such an environment should prove crucial to year-end performance. 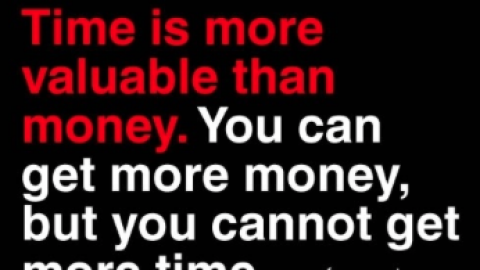 Be smart, be nimble and be resourceful! VIX Drops To Lowest Levels Since January: What’s Next? 4th Rate Hike Coming? Tech Titan Earnings Week Ahead!